I realize it was quite a long time ago since he brought his group from Milan, Italy. I am going to do some checking now to see exactly when, but it is certainly a visit full of happy memories. A colleague of mine who had a four year old child at our school said to me one day that his little boy had gone home saying that he had heard an opera singer from Italy sing in the playground. It was quite true, as Martin Biggs’ group included a trained opera singer who just happened to be a parent and had joined the tour to take part in the music and act as chaperone. Their first concert with us was, as with all visiting groups, for our youngest pupils, and several hundred tiny children listened attentively and clapped enthusiastically at the open air performance. 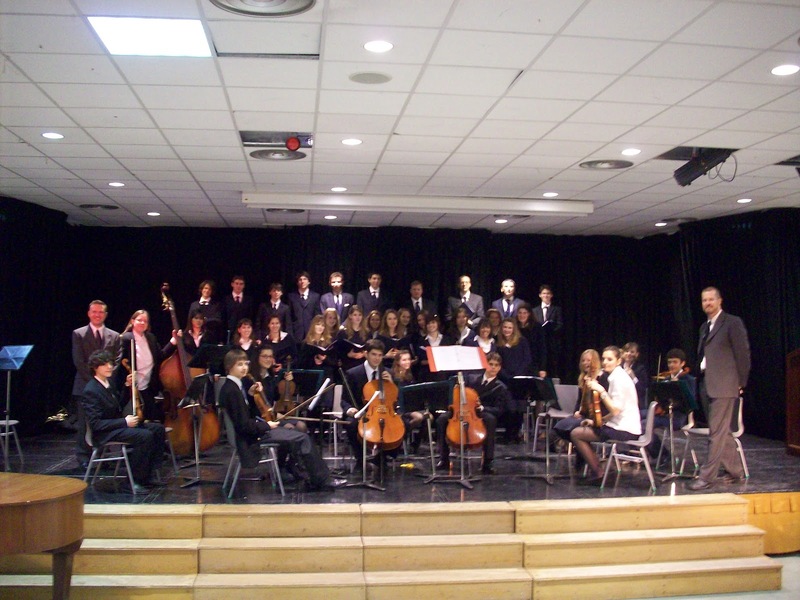 Later in the day the whole group, including chamber orchestra, choir and their accompanist, moved inside to perform again, this time to secondary pupils. The longer time allowed for a wider repertoire to be sung and played. Highlights again were the opera arias, and for me also the Italian folk songs, which went with a real swing. 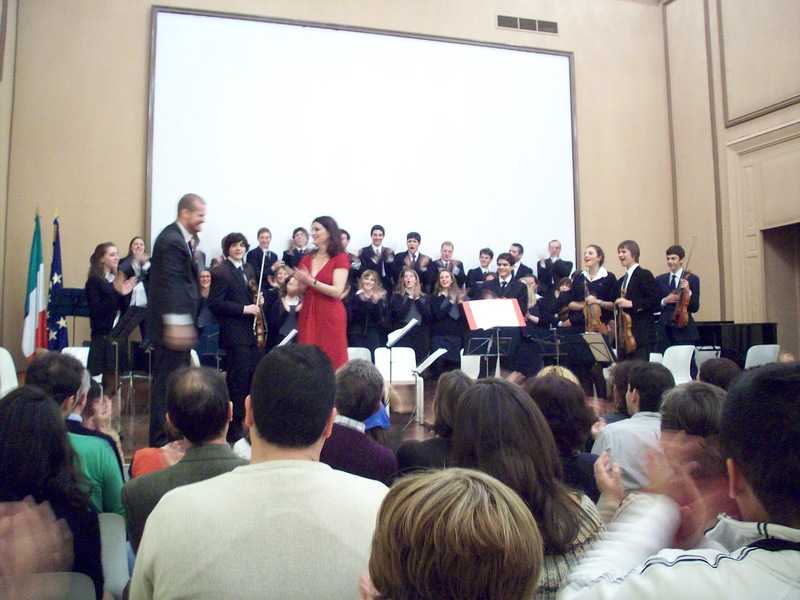 As I had been busy helping to arrange the concerts at my school, it was a refreshing change to attend the performance at the Italian cultural centre in the heart of old Madrid, housed in a grandiose residence, not for nothing called a “palacete”. 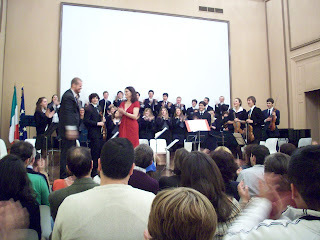 The acoustics were excellent, the sight lines ideal and the audience I think brought together almost all the members of the Italian community in Madrid, plus lots of interested local people for good measure. 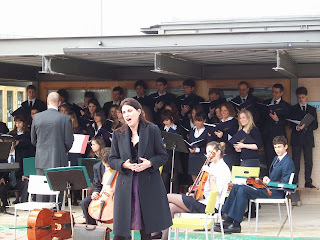 Under Martin Biggs’ direction all the music went well, even the most challenging pieces. There is no doubt that the real crowd pleasers were the Italian folk songs, and these were repeated as an encore. Talking to the students afterwards, they were surprised at the audience’s insistence on hearing more folk songs, and they were a little disappointed that there seemed to be less appreciation of their more serious pieces on the programme. The truth is that they did perform the serious pieces well, it’s just that their renditions of the folk songs were so special precisely because of their authenticity and the natural charm of their performances. I have to confess that when I booked the post concert meal in town I looked for a restaurant that was close to the group’s hotel, offered good value, served meals until late and accepted a group booking for a Saturday night. There really are not many establishments which meet all the criteria, and the group from Milan ended up celebrating at an Italian restaurant! 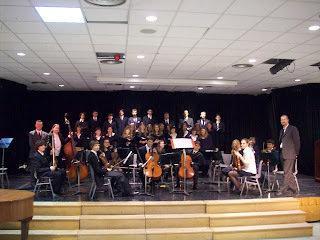 Yes, I just checked, and the group from Sir James Henderson School, Milan, came to Madrid in 2008. It is a credit to them that the visit is still fresh in my mind, and I hope it is in their minds too. Thank you Martin and all your team for a great set of concerts.